Kim Jong Un's uncle was reportedly given one of the most brutal death sentences imaginable last month. 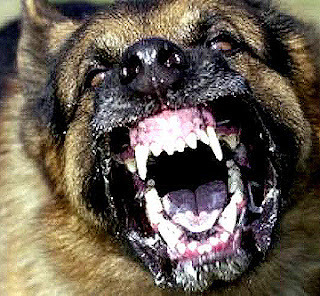 According to NBC News, which cited a report in a Chinese newspaper, Jang Song Thaek and five of his closest aides were stripped of their clothes, tossed in a cage and eaten alive by a pack of 120 hungry dogs. The dogs had reportedly been starved for five days. Jang was considered to be the young North Korean leader's second-in-command. "Where is that goddamned PETA when you need them?" The details of the execution were published in a newspaper that serves as an organ of China's Communist Party, but NBC could not independently confirm the report. The Straits Times, a Singapore-based news outlet, also reported on the details of the execution. Jang was accused of treason and sentenced to death last month, but North Korea provided very few details at the time about his alleged transgressions and the method of execution. 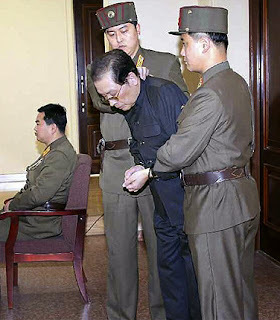 According to the Straits Times, Jang's alleged treason stemmed from his close ties with Beijing and that the execution has sparked tension between Kim and the Chinese government.